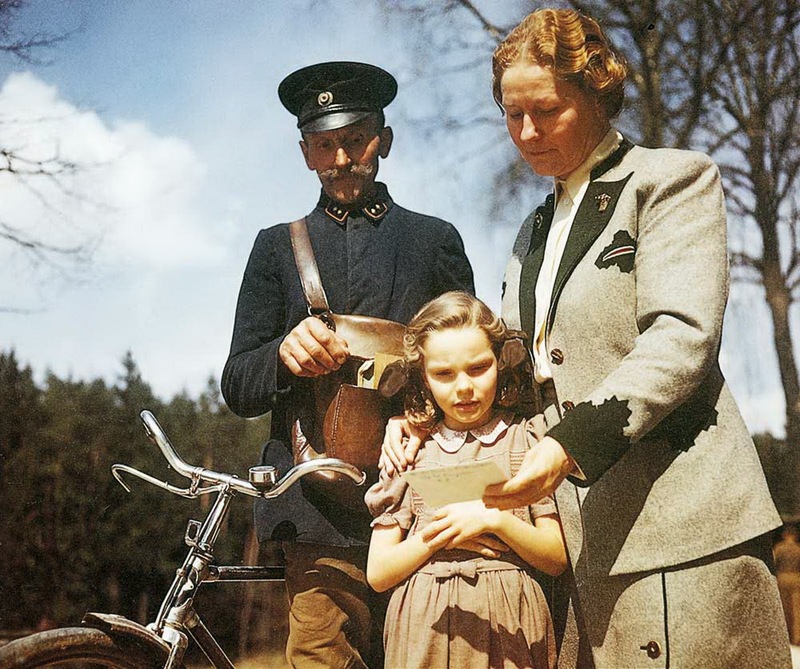 Edda Göring and her mother, Emmy Göring, receive a handwritten letter from Hermann Göring in his death cell at Nürnberg; September 26th, 1946 | I hope to be remembered for my atrocities! Edda is the only daughter of Reichsmarschall Hermann Göring and Emmy Göring. Before married, Emmy (birth name Emma Johanna Henny Sonnemann) had been an actress. After marrying Göring in 10 April 1935, she became Germany’s first lady, since Hitler had no wife at the time. Emmy Göring was a genuinely gracious woman with a naive charm. Edda was born in 2 June 1938 and grew up in Berlin. This photograph of Edda and Emmy was taken in Nürnberg on 26 September 1946, during the war crimes trial. Nineteen days later, Hermann Göring took his own life a day before his scheduled execution. At that time Edda was eight years old. After the trial Edda and her mother spent four years in an Allied prison camp. Years later, her mother would say it was the hardest time of their lives. After being released they lived in Münich. Emmy died in 1973. In 1991 Gerald Posner published some quotes from Edda in his book “Hitler’s Children”. Edda complained that after the war “the government was terrible. They didn’t even let me keep [my father’s] wartime medals. The Americans stole his special baton.” Edda was very much anti-America and probably blamed America in particular for her father’s death. She rejected the overwhelming evidence that her father was involved with the war crimes. This entry was posted on March 14, 2015 by Miep. It was filed under History, Human History, Images of History, Modern Warfare, Photography, World War Two and was tagged with Edda, Emmy Göring, Göring, German, Germany, History, human history, Military, Military history, Nazi, Nazis, Photo, Photography, Politics, Reichsmarschall Hermann Göring, Society, World History, World War two, WW2, wwii. Goring at certain moment has better judgment than Hitler !